Our bakery has been awarded Best in Ireland by McKenna’s Guides/Bridgestone Award in 2019, 2018, 2017, 2016, 2015, 2014, 2013, 2012. 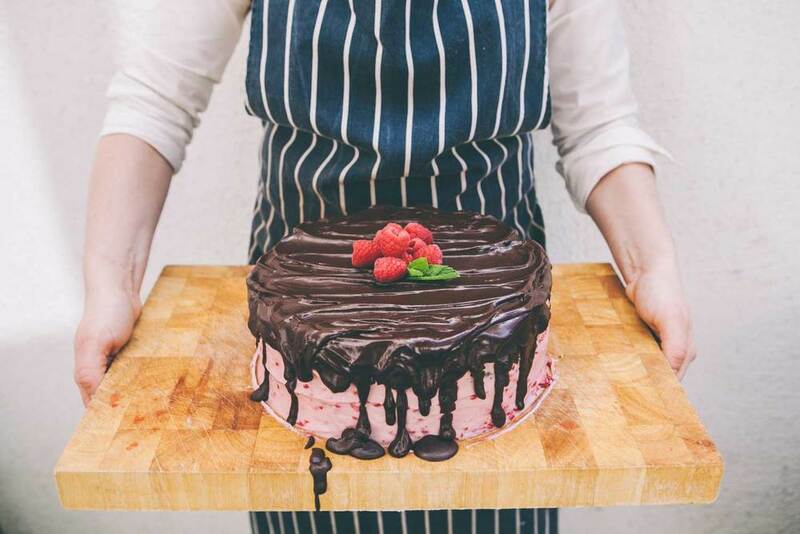 Our chocolate raspberry cheesecake brownies won Gold in the Blas na hEireann Irish Food Awards, and were finalists in the Dublin Street Food Awards. Our bakery was shortlisted for the Irish Times Best Shops in Ireland 2015 and visiting Camerino was included in the Irish Independent's bucket list of 30 things to do in Dublin before you die. Arriving with a box of our cookies, brownies or squares will make you the most popular person at the party. Squares are baked in a 9" x 12" rectangular tray and can be sliced into 15 extra large portions, 18 large portions, 30 finger portions, or 60 bite-sized portions. Our cookies are chewy on the inside with a bite on the outside. Our award-winning brownies are rich and fudgey, and our best-selling treat. Our classic squares are loved by children and grown-ups alike. Our celebration cakes range from simple single layer cakes to more festive, elaborate cakes. The price of your cake will depend on the size, the design and potential delivery costs. Below is a starting price guide, although it is best to contact us directly for an individual quotation for your order. You can see more examples of our work on our Instagram. Two layers of cake with icing sandwiched in between, with icing covering the top and sides, covered in smooth fondant. This cake can be personalised with fondant designs. From €95.00 for a 6" round, serving 8-10 portions. Contact us to discuss your bespoke design and a personal quotation. An artisan wedding cake is a wonderful way to add design, tradition, personal style, glamour and fun to a wedding party. Your cake should be beautiful and taste amazing, made with the best ingredients. Wedding cakes are designed individually for the couple, and are priced according to size and design. Wedding cake consultations are booked by appointment and include a tasting of 3 flavours. Our calendar is booked on a first-come-first-served basis and we take on a maximum of 2 wedding cakes for any date. A 70% deposit secures the booking. We are happy to provide a quotation for your catered event. Menus can be from our existing lunch or cake offerings, or can be tailored for special requests. Enquiries should be made by email or phone (01) 5377755. Healthy Snacks, Cooking for Guests. Classes can be tailored for other requests and enquiries should be made by email.